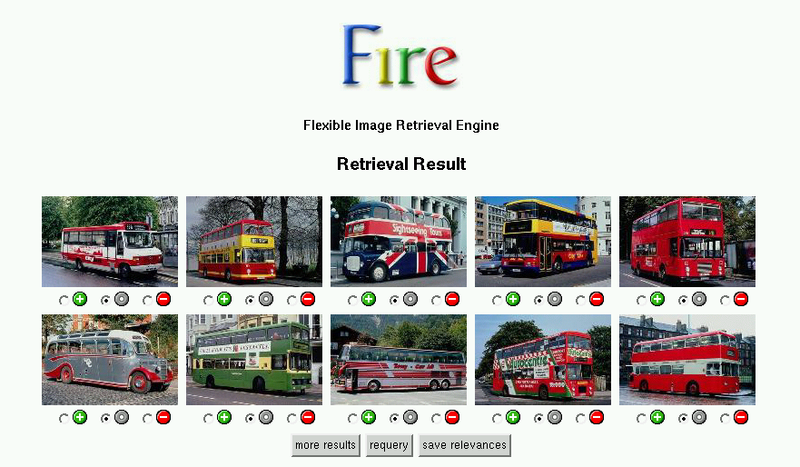 This is the homepage of FIRE, the Flexible Image Retrieval Engine. Note that Thomas Deselaers, will not work at RWTH Aachen University from January 2009 and thus this website is not maintained any more. Should there be any news regarding FIRE, they will be published here. FIRE is an image retrieval system developed as part of the diploma thesis of Thomas Deselaers. Later, large parts were rewritten to make it more easily maintainable. FIRE is available under the terms of the GNU Public License. A new version of FIRE with restructured source code and new Makefile was released. Download it here. Install instructions for FIRE 2.2 are also contained in the archive. Christian Kofler from the Image Understanding and Pattern Recognition Group in Keyserslautern has created a small GUI for FIRE called FireWatch. You can grep it from their site. (local mirror). FireWatch already supports the submission of images and to select regions from images for query which is not yet supported by the current version of FIRE. 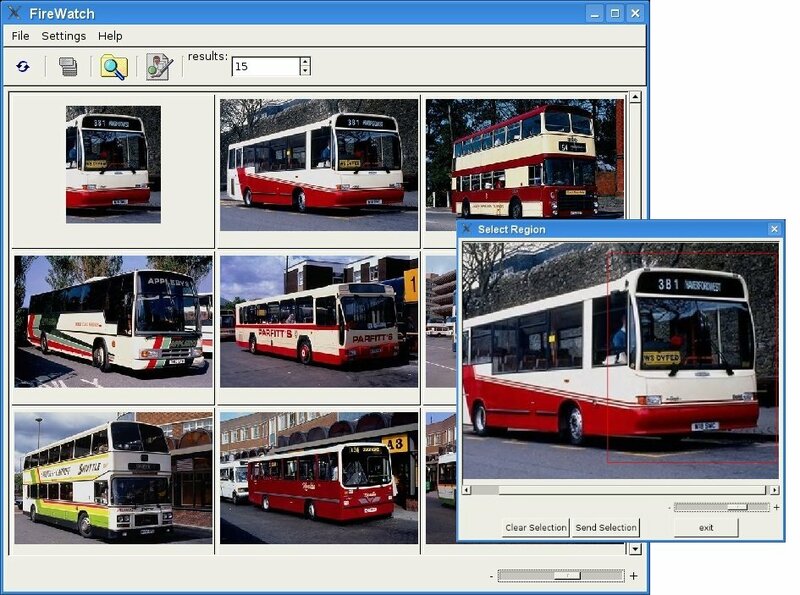 This feature has been developed by the Image Understanding and Pattern Recognition Group in Kaiserslautern and will soon be included in the main FIRE. We have migrated the FIRE mailinglist to google groups: If you are interested, please feel free to join. Some papers related to FIRE and information regarding Thomas Deselaers' personal research interests can be found on his personal website.